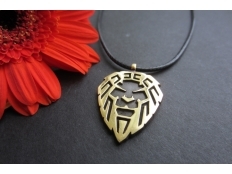 This is Lion pendant. It is made from brass. Comes with an adjustable string. Dimensio..